On 1 March 2019, Prof. Jacques Bahi, President of University of Franche-Comté (UFC), France, along with Mr. Antoine Guillemet, Director of International Relations and Francophonie, visited Thammasat University and greeted by Rector Assoc. Prof. Gasinee Witoonchart along with Vice Rector for International Affairs, Assoc. Prof. Dr. Kitti Prasirtsuk, Deputy Dean for Research and International Affairs, Assoc. Prof. Dr. Plaiwan Suttanon, Deputy Director of Computer and Information Center of the faculty of Engineering, Dr. Sirisilp Kongsilp, and Head of Bachelor’s Degree in French Language of the faculty of Liberal Arts, Mr. Thoranin Meplan. Both sides discussed the possibility on academic collaboration, including joint degree and joint research. 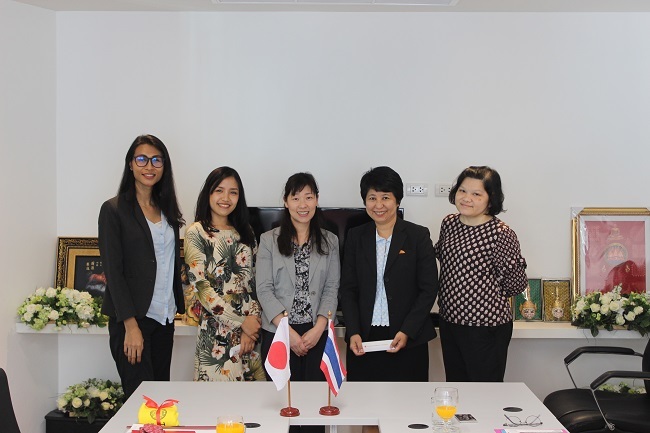 Ms. Varinya Pasugswad and Ms. Nanthawan Ketthiangkit, Japanese students Coordinators, met with Ms. Motoko Ouchi, International program Coordinator from Fukuoka Women’s University, Japan. Both sides discussed academic collaboration, including scholarship for Thammasat students. 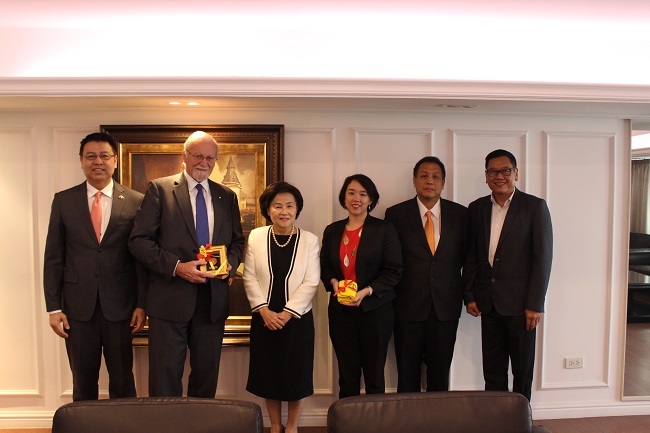 On 27 February 2019, Prof. Dr. Gareth Evans, Australian National University Chancellor, along with Dr. Su-Ann Tan, Director of Southeast Asia Liaison Office in Singapore, visited Thammasat University and greeted by Rector Assoc. Prof. Gasinee Witoonchart along with Vice Rector for International Affairs, Assoc. Prof. Dr. Kitti Prasirtsuk, Director of Thammasat Institute of Area Studies, Assoc. Prof. Dr. Suphat Suphachalasai, and Dean of the Faculty of Learning Science and Education, Assoc. Prof. Dr. Anuchat Puongsomlee. ANU aims to strengthen ties with major universities in ASEAN. 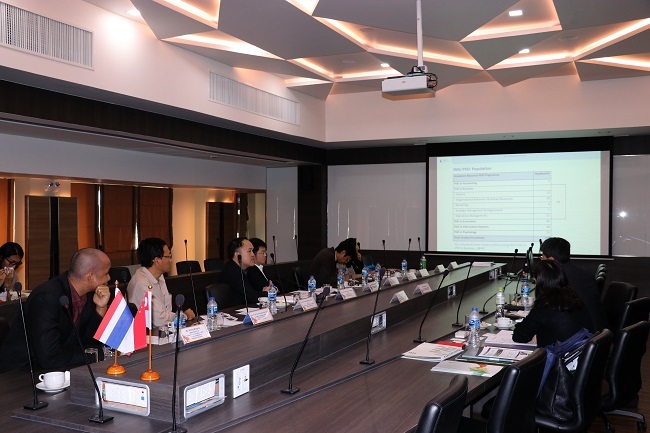 Both sides also discussed on collaboration between Australian Studies Center at Thammasat University and the Australian Studies Institute at ANU. On 27 February 2019, Vice Rector for Academic Affairs, Assoc. Prof. Dr. Chalie Charoenlarpnopparut, along with Dean of the Faculty of Economics, Assoc. Prof. Dr. Chayun Tantivasadakarn, Associate Dean for International Affairs of Thammasat Business School, Asst. Prof. Dr. Surat Teerakapibal, and executives from both Faculty of Economics and Thammasat Business School met with Prof. Wan Wai Yee, Dean of School of Law, Singapore Management School (SMU), and Ms. Asha Choolani, Senior Manager of Office of Postgraduate Research Programs. Both sides discussed about faculty exchange, graduate scholarship, and joint research.